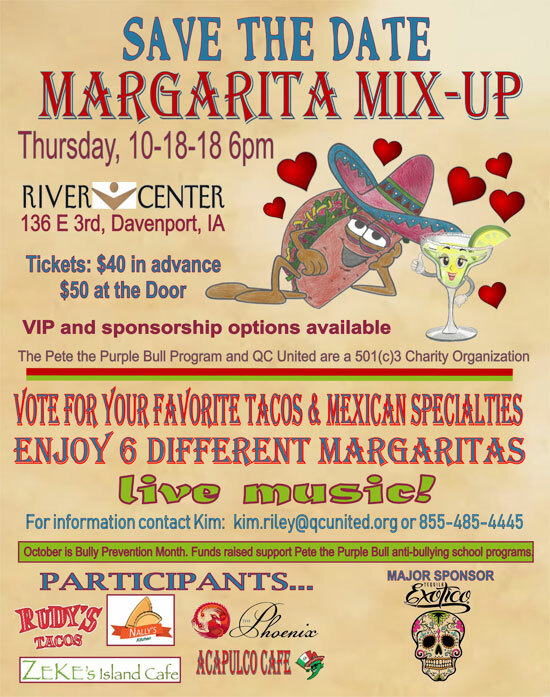 Pete the Purple Bull is a program of QC United, a 501(c)3 nonprofit. Tickets are just $40 in advance or $50 at the door. A VIP Table for 8 is $440 and includes a surprise for each guest.